The US-based Society of Plastics Industries (SPI) recently decried several myths about plastics and says that additives and masterbatches have significantly changed how plastics perform and are utilised. In no time, with this technology, the world will perceive plastics differently and the materials will be an environment foe no more, says Angelica Buan. SPI’s stand on plastics is also shared by several organisations, including the American Progressive Bag Alliance (APBA). It says that the millions of reusable bags imported from China are not recyclable and that paper bags do not guarantee degradability in landfills, with the former generating 80% less waste than paper bags. Additives, thus, ensure that these plastic products mimic properties of metals or even glass and wood, and are compostable, recyclable and able to be repurposed. Oxo-biodegradable plastics are currently being promoted by several manufacturers. However, recently, the Belgium-based EU-level trade association EuPC sought a Europewide ban on oxo-fragmentable plastics following the results of several independent tests and the effect on the quality of recycling. It said that a separate collection of degradable plastics must be necessitated to ensure “resource efficiency” in Europe’s recycling streams. EuPC commented that oxo-fragmentable plastics have no positive environmental impact on the existing waste streams in Europe. However, the call has been met with opposition by associations such as the Londonheadquartered Oxo-biodegradable Plastic Association (OPA) and the US-based Oxo Alliance, both of whom were critical of EuPC’s claims. Also championing oxo additives is UK-based supplier of oxo-biodegradable masterbatches Symphony Environmental Technologies that promoted its d2p anti-fungal technology at the recent K show. 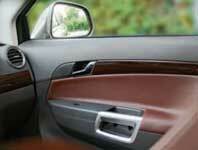 The silver-based technology can be added to most polymers to inhibit the growth of fungi, mould, algae and bacteria. It also “helps prevent staining, discolouration and odour development.” It is awaiting food contact approval. Another offering is the d2t tag and trace technology for anti-counterfeiting applications. It is marked with a unique code that carries information such as the manufacturing date, plant location and authorised country of sale and can be applied using inks, dyes, paints or an extrusion process. In the same vein, US-based Plastics Color Corp (PCC) also introduced the Mi Batch anti-counterfeiting tag that has a chemical/spectral signature, which becomes part of the material. Handheld or inline detection equipment can be used to read the embedded tag to verify the authenticity of the polymer, product or component. It is ideal for high-risk markets such as electronics, medical, aviation and automotive, says PCC. Meanwhile, masterbatches are widely used in the packaging and automotive sectors, according to the Global Industry Analysts’ (GIA) latest report. It is expected to grow at a CAGR of 4.9% through 2018. The increasing production of plastic products and components and fast pace of industrialisation are shoring up the market, which GIA estimates will reach US$10.5 billion by 2018. Current innovations include masterbatches for anti-shrinkage, anti-fogging, antimicrobial, odour management and for biopolymer and biodegradable resins as well as flame retardants for PP pipes and PC sheets. Europe remains the largest market, despite its lukewarm economic climate. Growth in Asia is driven by the demand for advanced raw materials that offer aesthetic appeal and functional performance. In India, TechSci Research reports that masterbatches volume sales are expected to grow at 23% CAGR through 2018. Its market is driven by the growth in end user industries as well as the increasing penetration of plastic products in the market. In light of the strengthened regulations of the Ministry of Environment & Forests, Government of India, towards solid plastic wastes, the development of bio-additives ensures continued growth for the market. Plasticisers, which are appraised to reach a global market value of more than US$19.5 billion in 2020, will also find growth in Asia Pacific and Europe. 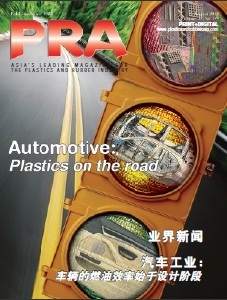 Research firm Ceresana says that demand for phthalate-free plasticisers is on the rise. 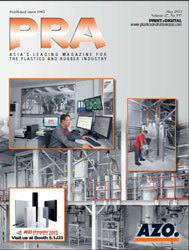 About 87% of the global plasticisers consumption in 2012 was in plastic products, the majority being films and cables. Demand for plasticisers tapered off for production of rubber products, paints, varnishes and adhesives, cites the study. Contributing to the growth are the phthalate-free and biobased varieties, driven by surmounting health concerns as well as prohibition on the use of DEHP. The latter accounted for about 60% use in the Asia Pacific market. US-headquartered chemicals producer PMC Biogenix has launched a vegetable-based ethylene bis stearamide (EBS) lubricant for compounding and extrusion markets. Kemamide W-40 Veg is a synthetic wax used as a process lubricant for PVC and styrenics; mould-release agent for phenolics and as an anti-block agent for polyolefins. PMC says that EBS’s most important application is as an internal and external lubricant in the processing of thermoplastic resins. The UK government recently introduced new packaging recycling targets through to 2017, requiring recycling to double over the next five years. To meet these challenges, UK-based rigid packaging maker RPC Group has been working with AkzoNobel on the use of 25% post consumer recycled (PCR) material in its Dulux PP paint containers and is looking at using recycled PP (rPP) for use in food packaging. RPC is also honing in on the use of clear PP for its thermoformed, blow moulded and thin walled injection moulded food-related applications, since it not only achieves high clarity packaging but sustainability targets. The appealing aesthetics are achieved through the addition of Milliken’s Millad NX 8000 clarifying agent, which also allows for the processing of PP at lower temperatures, while PP’s low density creates lightweight products with a low carbon footprint. Furthermore, RPC says clear PP ensures good impact protection and barrier protection, helping extend the shelf-life of products. At the K show, Munich-based chemical firm Wacker showed off its Genioplast Pellet P silicone additive for the compounding of thermoplastics, for use in food contact applications, such as kitchen appliances and food packaging. It facilitates the manufacture and processing of compounds and ensures smooth, easyto- clean surfaces, without downgrading the tensile strength, hardness or dimensional stability under heat. Printing and welding of the compound is also allowed. Acting in synergy with flame retardant fillers, Genioplast’s non-cross-linked ultra-high-molecular linear polymer ingredient, and carrier material pyrogenic silica, makes it compatible with all thermoplastics. Colour and additive masterbatch supplier Americhem introduced its mBrace softening additive recently. It is said to be a first-of-its-kind softening technology that can be combined with colour and other additives to provide a costeffective, multi-attribute masterbatch. The US company sees this technology as specifically viable for the nonwovens sector. Speciality chemicals company Clariant’s innovation focus at the K included its new HiFormer integrated system for liquid masterbatches. The Swiss firm says with brand owners becoming more interested in liquid masterbatches, it expects higher growth rates of more than double that of solid masterbatches. The system brings advantages for the packaging and consumer goods segments as it allows wider use of liquid colour and additive concentrates. Services provided by HiFormer will include product development, colour matching and on-site implementation. Meanwhile, Clariant has created a product range of Low Halogen Controlled (LHC) colourants to support efforts to reduce the halogen content of, for example, E&E devices, consumer goods, and toys. The 13 organic pigments and two polymer soluble dyes allow customers to comply with IEC 61249-2-21 guidelines and are targeted as replacements to lead chromate pigments. Under REACH regulations, in the EU from May 2015, the use of lead chromate pigments will no longer be permitted for sale without approval by the authorities. In other news, Huntsman Pigments says tests it has undertaken for its latest Altiris titanium dioxide pigment indicate that the pigment can enhance the performance of PE greenhouse film to provide improved growing conditions. Since greenhouses need a careful balance of light, heat and humidity for strong plant growth, visible light from the sun must enter the structure to promote photosynthesis and UV light needs to be transmitted through the PE film so that bees can see flowers for pollination. Greenhouses also need moderate infrared transmission to keep plants warm. 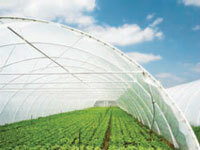 A 50 micron PE greenhouse film containing 1% loading of Altiris is now being tested in field conditions near Istanbul in Turkey and test results indicate that the PE film reflects infrared energy. The resulting reduced interior temperature helps keep relative humidity levels high to prevent plants from losing moisture. Altiris has been specially engineered by crystal size modification of rutile titanium dioxide to give high infrared reflectance; it is then coated with dense silica to make it “super” durable.